Photography copyright © Ian Plant. All rights reserved. Tell us something about Ian Plant. 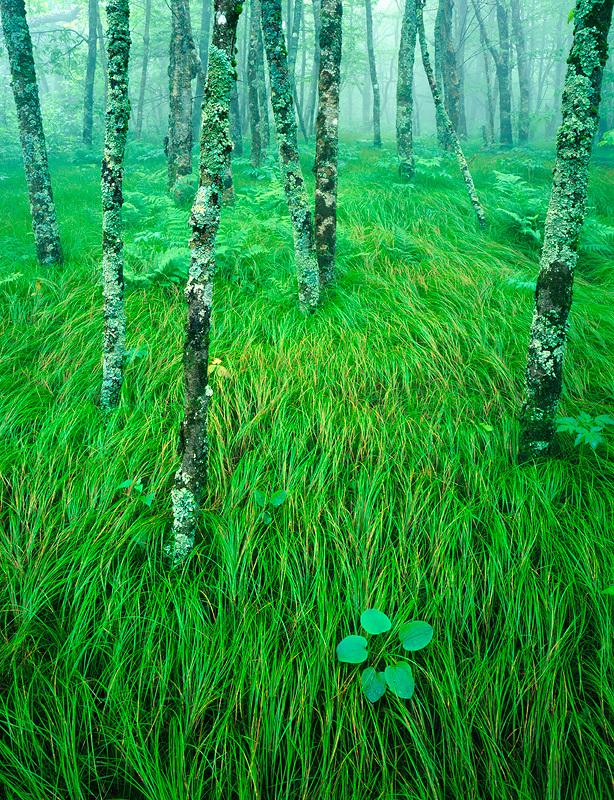 What he was before coming into Photography and how did He end up with Landscape photography? I took a rather roundabout route into professional nature photography. I started off as a lawyer, working for a large Washington, D.C. law firm for eight years before leaving to become a pro nature photographer. I bought my first camera while in law school and I realized then that I was completely hooked on photography. As soon as I paid off my law school debt and saved up a little bit of money, I jumped in and have never looked back. That was almost seven years ago. 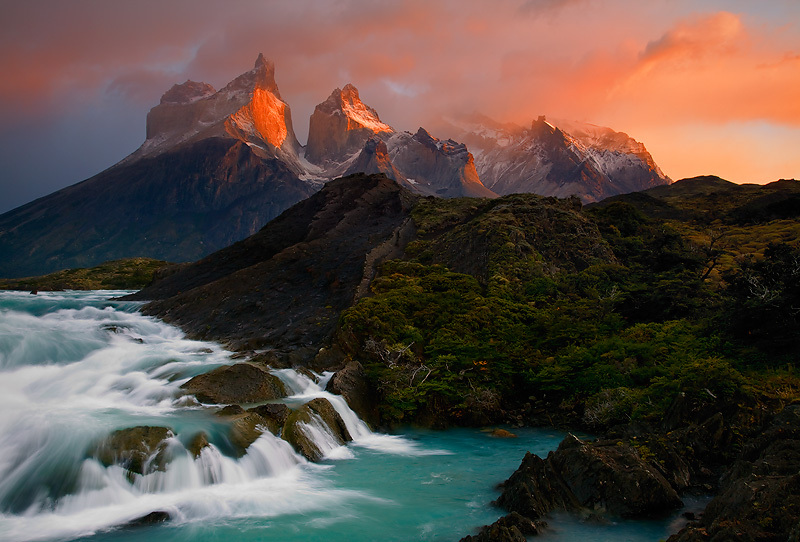 Your images are extremely popular among landscape photographers across the world. It speaks a lot emphasizing strongly on colors and grandeur of the vistas coupled with perfect compositions. What according to you is your style of photography? I don’t know if I can claim to have a particular style. Whenever approaching a scene, I simply look for the best way to show my subject. Sometimes the compositions I come up with work, sometimes they don’t. I simply believe that one has to work hard to find the beauty of any given landscape scene, and to find a way to make that beauty relate able to others. What is that single most important thing you think of before you trip the shutter? And what are your thoughts on presentation of an image? Composition and mood are the two most important things to me. Composition is very important because it is necessary to present a coherent theme to viewers. An image with sloppy composition will more often than not confuse viewers about what is important. Mood is what makes a photograph relatable to viewers, and it creates an emotional connection that is critical to the success of an image. A photograph that is all composition and no mood ends up being sterile and will cease to move your viewers. Can you tell us more about “Dreamscapes” concept, story behind the name and how it all started? The “Dreamscapes” concept came about somewhat accidentally. I had a gallery on my website named Dreamscapes, mainly because I liked the way the name sounded. Then Outdoor Photographer Magazine ran a profile of me, and they took the gallery name and made it the title of the article. This got me thinking, and I decided that “Dreamscapes” was more than just a cool name, it was something that defined how I am trying to approach my work. My goal is to take the familiar and render it in a surprising and unfamiliar way, and to experiment with the study of movement over time, exceptional light and natural moments, and non-traditional compositions. So, “Dreamscapes” has become something of an artistic philosophy. Not all of my images rise to the level of “Dreamscapes,” but I am always striving to capture moments and mood that inspire and show nature in a new light. You have traveled across many regions of the United States – how do you relatively relate the challenges , wilderness factor and the shooting conditions across these places? 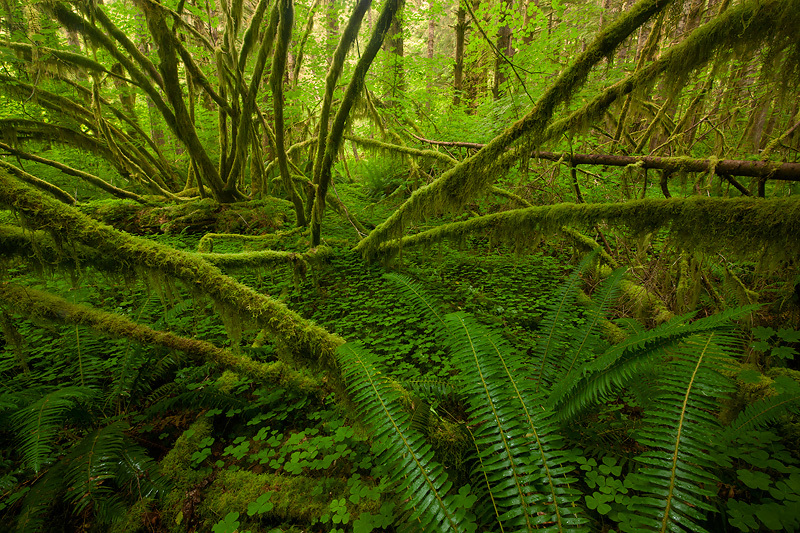 Every wild place has its own unique beauty, and its own challenges. It is a nature photographer’s job to find that which is unique and special about a nature subject, and find a way to translate that beauty into a photograph that will relate to viewers. Whats your favorite place which you have shot or have planned to shoot ? I get this question a lot and I never have an answer. I love photographing every place I go. Every natural area has its own unique beauty. All of them are my favorites. Landscape photography involves getting up early in morning and staying back late in evening or camping in remote & dangerous locations to get that dream image. In such circumstances how does your family respond/encourage/support you ? This is the hidden side of the profession, one which few people talk about. Being in the field can put an enormous strain on family and other personal relationships. I’m lucky that I have a wonderful wife who puts up with my prolonged absences. That said, the job takes its toll, especially when I have a prolonged stay in a wilderness area with little or no contact with others. Loneliness and boredom can really wear on you when in the field. Tell us about some of the best moments you have experienced while out in the field. 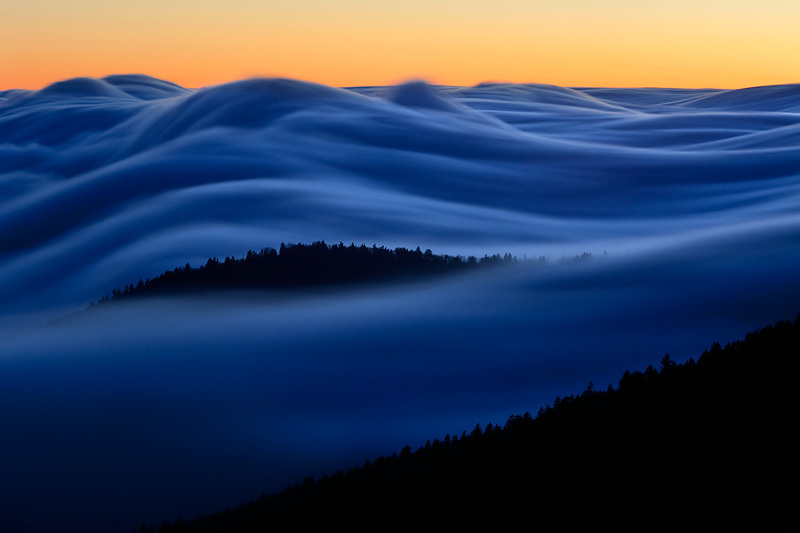 What is Ian’s favorite Landscape image in his portfolio right now and what is the story behind the image? This is a tough question to answer. I’ve had so many great moments in the field that it’s hard to pick one or another. 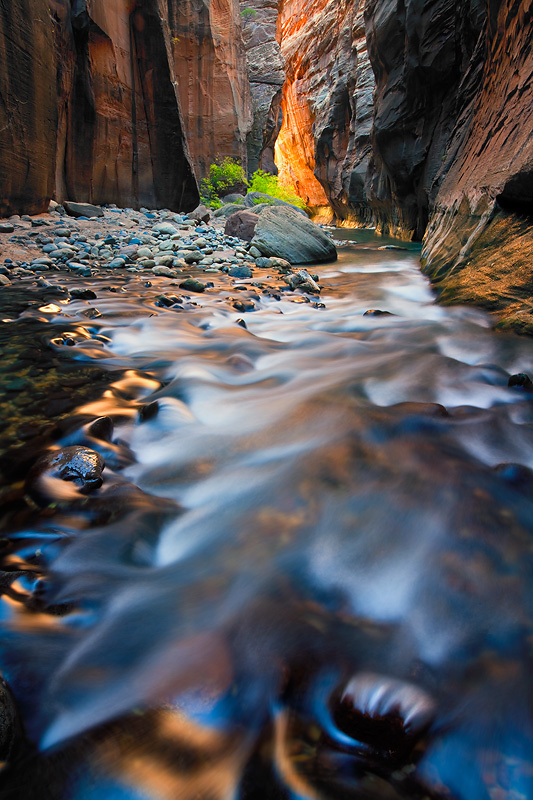 I guess my favorite image in my portfolio is “Kaleidoscope,” which was taken in the Virgin River Narrows. One day when exploring the Narrows I turned around to see a fabulous display of reflected light converging with a dynamic composition. It’s the kind of photograph I love to make—I’ve never seen another Narrows images quite like it, and it certainly isn’t one of the “iconic” compositions that get copied over and over again from this place. I was lucky enough to witness a fleeting convergence of light, color, mood, and composition, and I’m glad I was able to properly execute the shot so that I could share the magic of the moment with my viewers. How much has the newer technology, tools of trade and advancement in post-processing helped you in creating your imagery? 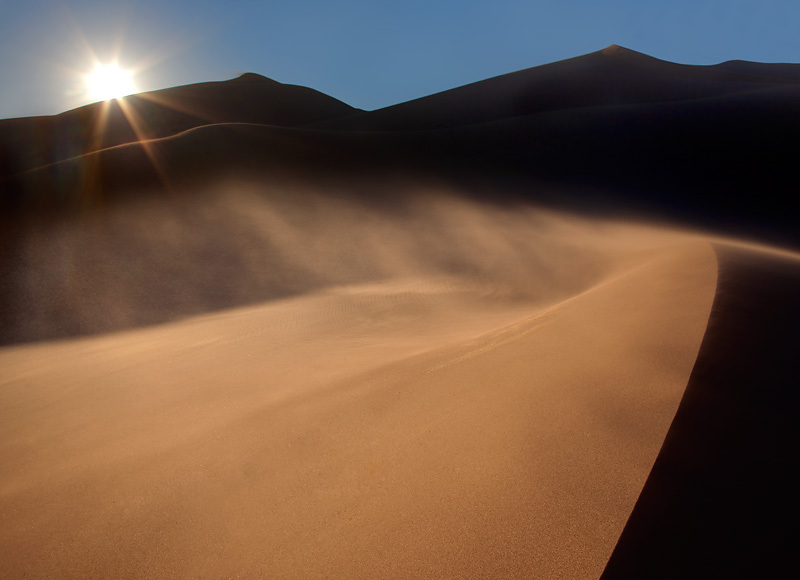 No one can deny that digital photography has had an enormous impact on the art and profession of nature photography. Simply put, digital increases our yield and makes it easier to get the shot right. When shooting film, there was a fair amount of guess work involved, and you’d never know that you got the shot until you returned from the field and had your film processed. Now, we have instant feedback and review on our camera’s LCD screen. Also, with advanced exposure blending techniques, we are less constrained by the limitations of our equipment than in the old days. That said, I try very hard to keep my technique firmly rooted in the photographic process rather than the computer process. Many photographers these days heavily rely on computer processing techniques to create the “magic” of their work. While there’s nothing wrong with this, I prefer that the magic result from photographic technique and from capturing the wonderful moments of the natural world. Perhaps I shot film for too long before starting with digital, but I got into this to be a photographer, not a computer artist. Although it seems these days that the distinction between the two has become rather fuzzy, I try to always keep this distinction in mind when shooting and processing images. You were one of the early adopters for the “Nikon Lens + Canon Camera” concept in Nature and especially Landscape photography. Your views on it? I’ve struggled for years to find a quality wide-angle zoom to use on my Canon cameras. I don’t care about brand names and I don’t have any particular loyalty to one brand or the other. Simply put, if someone makes a superior product, I’ll use it. The bottom line for me is that the Nikon 14-24mm lens is a superb piece of glass, superior in all respect to any other wide angle lens I have ever used. Canon’s wide angle zooms are simply not in its league, and although their fixed 14mm and 17mm lenses are excellent, the Nikon lens gives me these focal lengths plus more in a single zoom package. My only gripe with the 14-24mm is that it is very difficult to use filters on the lens. After much expense and experimentation, I have finally found a solution that works reasonably well, Lee’s SW150 filter holder made specifically for this lens. Unfortunately it is not a perfect solution and has required some tinkering, but it more or less works. Tell us something about your eBook series and what prompted you come up with eBook series on your Creative-vision store ? My ebooks and digital processing video tutorials provide my personal perspective and techniques on a range of subjects including working with natural light, composition, camera techniques, and digital processing techniques and philosophies. I work hard to keep each product to the point and inexpensive. Above all, I try to keep my advice pragmatic and useful, and to make sure my ebooks and videos have practical tips that will help others improve their photography in meaningful ways. What sort of ground work and preparation do you do before you head down to any of your shoot ? I try to get a sense of what an area might have to offer by reading hiking guide books and online accounts, but I think it is important to avoid looking at other photographers’ work. I prefer to approach an area with a fresh perspective. I don’t like going to places to get “the shot” that someone else has gotten before. It happens often these days as most places have been shot before, but since I’m looking for unusual convergences of light, weather, mood, and composition, I don’t end up at the traditional icons all that often. Whats in the bag on a typical day when you are out shooting Landscapes ? Not much! I travel light, usually just bringing my Canon 5D Mark II camera, my 14-24mm lens, my 24-105mm lens, a few filters, and a lightweight Gitzo Safari carbon fiber tripod. I try to keep my load less than 10 pounds. If you’re tired from carrying around equipment, you are less motivated to make pictures. Finally 3 most important pieces of advice you would like to give budding Landscape photographers ? Study the work of others as much as possible and try to figure out what works and doesn’t work. And I don’t just mean the work of other landscape photographers. Look at all types of photography—in fact, all types of art—and study how artists use light, composition, moment, and mood to bring their art to life. Be ruthlessly self-critical. If something isn’t good, don’t fool yourself into believing that it is. Go back and shoot it over again and again and again until you get it right. Practice, practice, practice. The more you shoot the more you learn. Art is an iterative process: each photograph leads you to the next, and every shot you take is part of the foundation upon which you build your body of work. Let your passion for photography be your guide, and let it fuel a hunger that can never be satisfied. 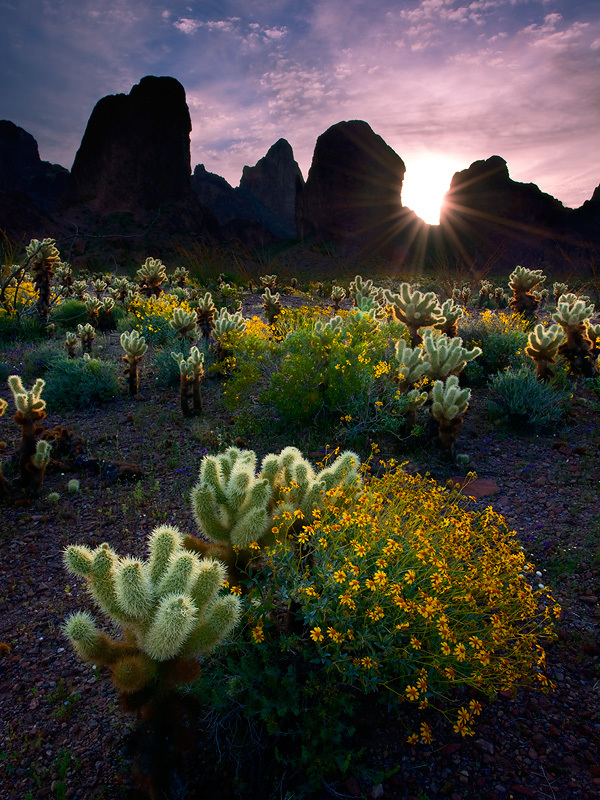 Hailed by Outdoor Photographer magazine as “an emerging talent in nature photography,”Ian Plant has been photographing our natural world for over fifteen years. His photographs and instructional articles have appeared in a number of books, calendars, and magazines, including Outdoor Photographer, Popular Photography, Nature Photographers Online Magazine, National Parks, Common Ground, Blue Ridge Country, Adirondack Life, Wonderful West Virginia, and Chesapeake Life, among others. Ian is also a Contributing Editor to Nature Photographers Online Magazine, and writes a regular blog column for Outdoor Photographer online. Ian is the photographer/author of eight print books, including Chesapeake: Bay of Light (2007), which received critical acclaim from the Washington Post, Washington Times and Baltimore Sun, among others. 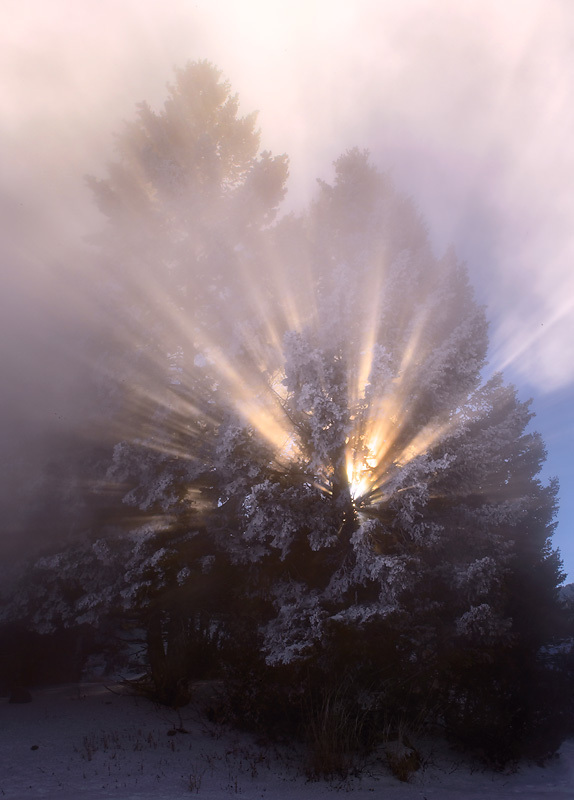 The Washington Times said “Plant’s sensational lens work . . . is a smash hit.” Ian is also one of the lead authors and designer of The Ultimate Guide to Digital Nature Photography (2009). 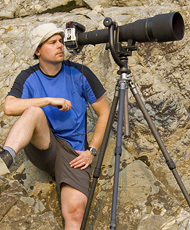 Most recently, Ian has authored a number of nature photography instructional eBooks. 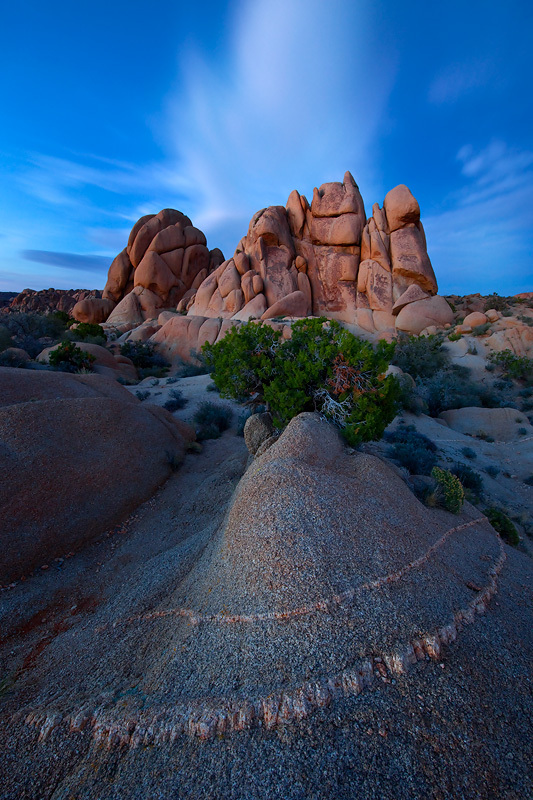 Ian leads several nature photography workshops, digital photo tours, and online classes each year. We sincerely thank Ian Plant for being kind in answering our questions. We really appreciate his time and thoughts. Google + brought me here, man I’m really loving your images, just the short few that made this blog post are unreal!